A nice late summer spate, but where are the fish? The last two weeks have been tricky with a disappointing run of late summer 2SW salmon and only a smattering of grilse, many of which are now starting to colour up. 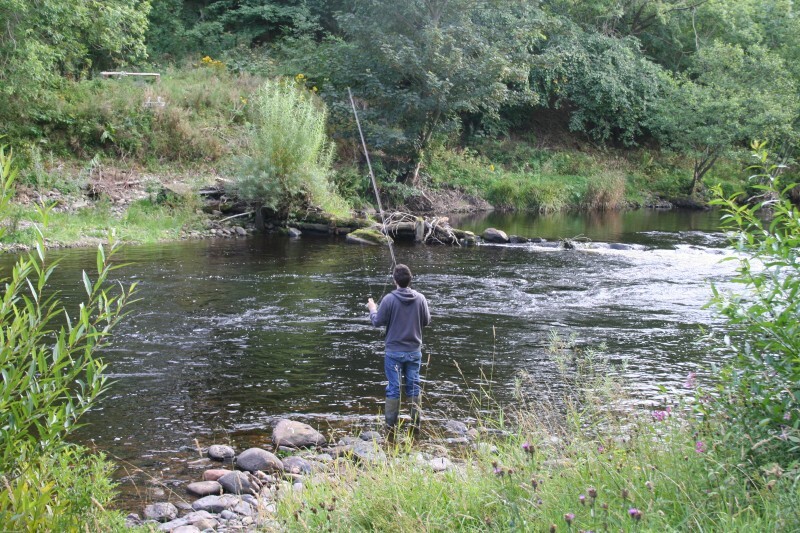 Whilst it is true to claim that nearly all the pools hold a fish or two – and there is still a sprinkling of sea trout of various hues and stages of gravidity – the truth is that there are less fish in the middle river than one might expect after a period of such excellent conditions. The only comfort, if that is how it can be described, is that other beats are also experiencing the same problems of encouraging salmon to take. We now need a really good spate, plus some frosty nights, to get the atumn run moving and taking the fly properly. As is normal with committed optimists, we hope for a better September and October. We haven’t yet started to see the best of the autumn run. My belief is that these really start to show immediately after the equinox in the third week of September, although I have seen them appear in a really wet August. In normal years, and I cannot count 2010 as such, we would expect to catch about 65% of the total Finavon catch of salmon and grilse in September and October. Let’s hope that the autumn of 2010 brings forth the fruit and substantial runs of fresh, clean salmon. Posted in Fishing Report | Comments Off on A nice late summer spate, but where are the fish? It has been a strange year all over Scotland. In some rivers there have been record catches, with the Thurso having a cracking spring and the Lower Oykel with a record week of more than 250 salmon. Nearer home the North Esk counter showed over 3,600 fish migrating upriver in July, whilst the South Esk nets between Lunan Bay and Scurdie Ness report catches of two and three sea-winter salmon in excellent condition and an abundance of grilse, some of which are showing red vent syndrome (RVS) and some are underweight. One day (24th August) produced nearly 200 salmon for these nets, despite unfavourable conditions of a strong west wind. In general it hasn’t been a bad year so far, although Finavon’s sea trout numbers (88 for the season to date) and salmon (43 to date) are less than they should be. My take on the early part of the season is that the spring run was developing really well until at the beginning of May the rain stopped and was followed by 7 weeks of drought. In these conditions 2SW salmon are not encouraged to enter the River, and many of this year’s May run of salmon was probably mopped up by the coastal nets. Also in conditions of drought no-one bothers to fish so angling effort fell away to zero at times. If the April river levels had been maintained throughout May I am in no doubt that we would have caught many more spring salmon. I say “no doubt” because I know that the South Esk coastal nets took somewhere between 600 and 800 2SW spring salmon in May: fish which couldn’t get into the river and were therefore unavailable to anglers. The point about the numbers of salmon caught by the nets, although it is tough for me as a fishery manager and angler to admit it, is that it shows that the South Esk is generating sufficient 2SW ‘spring populations’ smolts to produce a commercial (high value) catch. As far as sea trout are concerned we have seen lots, and caught a proportion of them. Up at Cortachy they have had a good year with 250+ sea trout caught (and mostly returned). A feature of this season, as in 2009, is the number of really big and well conditioned sea trout, including one of 8lbs caught by Derek Strachan in FCW’s Haughs Pool. In my view there is still a shortage of the school sea trout of 2-3 lbs . It is very encouraging to note that FCW fishers are returning all the big sea trout – the egg carriers – to the river. These experienced spawners, some as old as 10 years, are the basis of our sea trout stock. 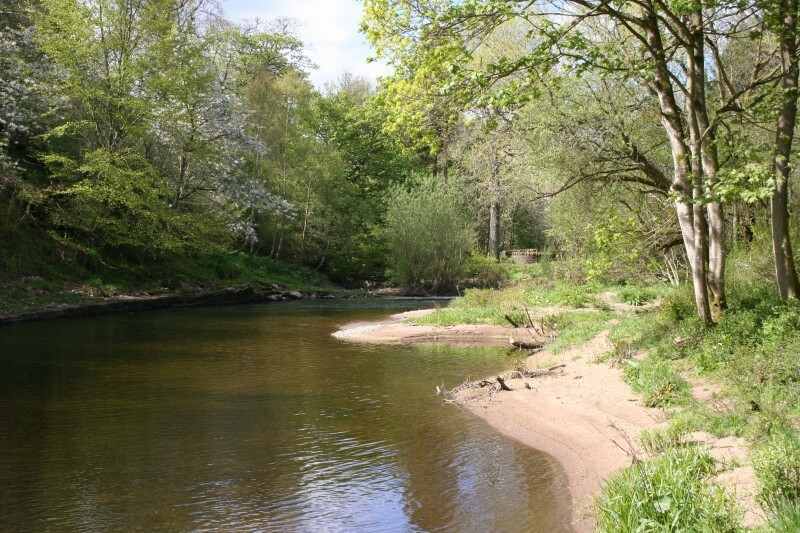 They represent the future of the South Esk as a top sea trout fishery, so please continue to look after them. Prospects for September and October 2010. As I write this blog on 25th August, all the main pools have a head of both salmon and grilse and the sea trout are now way past their best, and some are almost black as they prepare for spawning in late September or October. Water levels are a bit up and down but we should expect at least a dozen fish each week until the end of the season, provided we don’t get another drought, which sometimes happens in the east of Scotland in the early autumn. The best thing that happens in the autmn is the arrival of the large 2SW salmon, sometimes up to 25lbs in weight. During the summer we have completed work in David’s Wood, which provides the access route for Castle Beat. 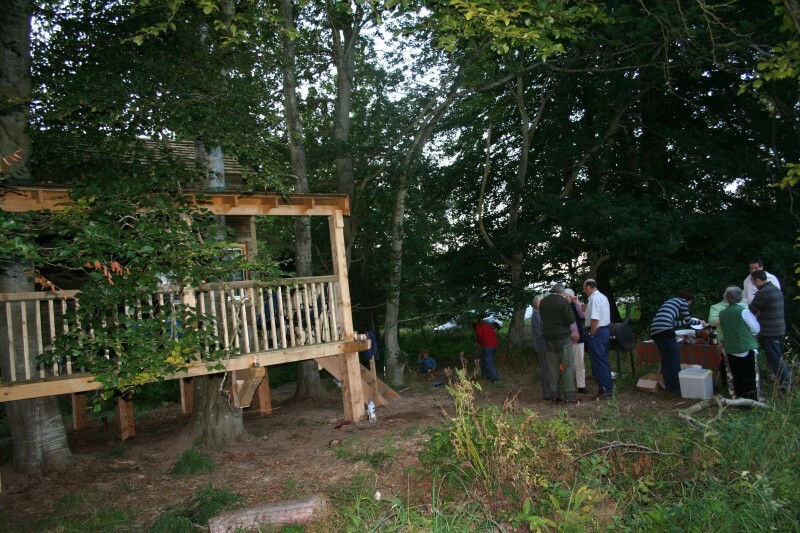 We now have a Treehouse fishing hut which we think may be a first for Scotland. 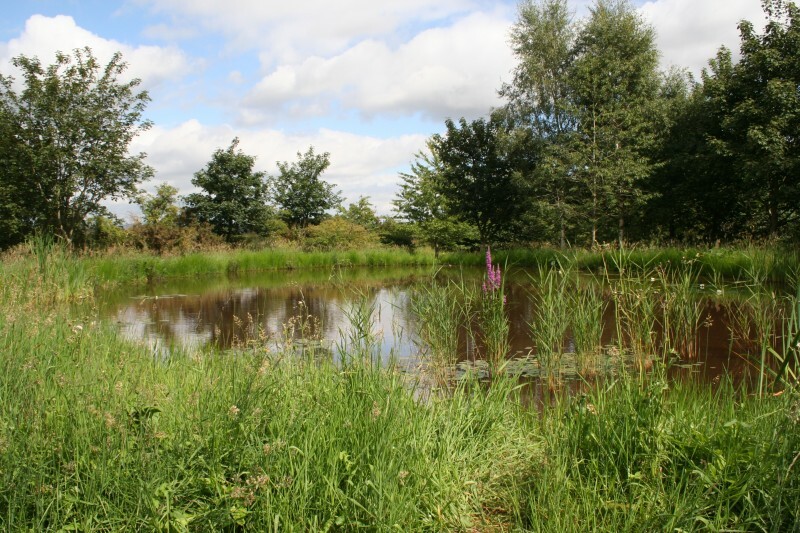 we also have developed a very attractive wildlife pond on which groups of teal and mallard spend the night, not to mention frogs, damsel flies and a heron or two! I am including pictures of all these new developments with this blog. There are just a few days left for fishing Finavon’s beats in the 2010 season. Each beat now has its own hut and if you take it for the day you have the water entirely to yourself. Our rates are competitive, so why not give FCW a try? Contact me on colonsay@hotmail.com .